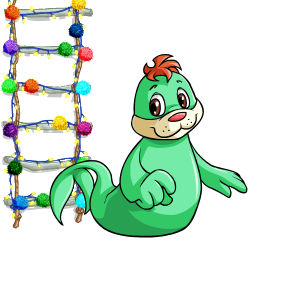 Daily Dare is a recurring Neopets site event that takes place in the Games Room. It was first introduced in March of 2007, when it ran for one month. If you did not participate in previous years Daily Dare challenges, don't worry! This new round of Daily Dare is independent of the one that took place previously, and it is very fun and easy to participate in. In 2007 Daily Dare was mainly hosted by sponsoring companies, while in 2008 Daily Dare was themed off of a more intricate story (read the story or watch the video). The event is mock-hosted by Aristotle A. Avinroo, better known as AAA and his little sister Abigail. Daily Dare takes place in the form of challenges that run 30 days in a row. 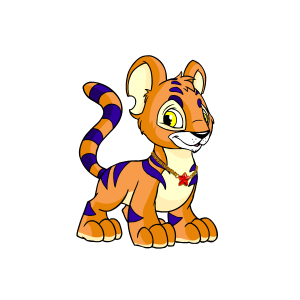 Starting on the first day, a Neopets flash game is chosen daily to be in the challenge. Much like in the game Better Than You, you must then play the game and send a specified score set by TNT. This event is unique though, as there are two different scores that you can choose to try and beat. The preferable score to beat is AAA's. He is better at games than his little sister, so his score will be set higher. Beating his score is a little difficult though, so you can also chose to beat Abigail's score, which is considerably easier. You get to decide each day if you want to challenge AAA or Abigail for the different games. You can only challenge one of them for each game, so chose wisely! If you want a prize, whichever opponent you challenge is the one you need to beat. You technically have unlimited tries for the day, but make sure not to actually send in all three of your qualifiying scores before you get the needed score! We have created some cool Daily Dare goodies for you to use. 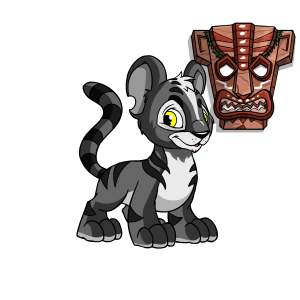 If you're into Daily Dare, be sure to check out this page for sweet stuff such as adoptables, a userlookup, icons, and a challenge completion counter. Of course, this event wouldn't be as awesome without the prizes. This challenge rewards you generously with different game related items. You can obtain a item prize each day by beating either opponent. Beating AAA usually gets you a better item prize than from beating Abigail. Aside from that, the prizes are the same for everyone for each game. Those that beat the challenge of the day of the release, an extra prize will be awarded. Once you beat either opponent's scores, you have to manually go back to the main Daily Dare page to manually collect your reward. Simply click the little image of the giftbox adjacent to where the score you just beat is listed, and a prize will be rewarded to you. If you send a score and the gift is still faded and therefore you can't click it, you've done something wrong. Make sure you didn't forget to click the button to challenge either AAA or Abigail for the day, and also make sure you sent the right score. At the end of the challenge, extra prizes are also awarded depending on the manner in which you completed the event. Double Dare is a special challenge during Daily Dare. To take the Double Dare, you must challenge AAA and match or beat his score. If you succeed, you'll receive AAA's and Abigail's prizes for the day! If you fail, however, you'll receive nothing. There will be one or two double dares per week. Gold � Beat AAA at each challenge. Silver � Complete all challenges before the end of Daily Dare, beating AAA at least once. Bronze � Beat Abigail at each challenge. Participant � Beat or match at least one AAA or Abigail score by the end of the event. Mainly, your goal is to beat AAA at everything so you can get the Gold Prize. If you can't beat his score for every game, beat him at least once so you can get silver. If you're not sure if you can get the AAA score, do not challenge either Abigail or AAA right away. Play the game first and then if you do manage to get AAA's score, minimize the game window, click the button to challenge him, and then send the score. For Team Challenges, pair up with a Neofriend and then challenge AAA or Abigail together. You can both win an extra prize if you both defeat your opponent. To complete the Team Challenge, you'll need to visit the Team Challenge hub. Team Challenges will be made available each Friday through Sunday, beginning Friday. From the Team Challenge hub, follow the prompts to choose your opponent, pick your Neofriend partner, and send an invitation. You must challenge AAA or Abigail from the Team Challenge hub in order to accept the Team Challenge. You might also be asked to accept an invitation from a Neofriend. Once you and your partner beat or match AAA's or Abigail's score (depending upon whom each of you has agreed to challenge), you will be awarded a Team Challenge bonus prize in addition to the regular AAA or Abigail prize for that day. You and your Neofriend will have to best AAA's or Abigail's score prior to midnight the following Monday in order to qualify for the Team Challenge bonus prize. You can visit the Team Challenge Rules or FAQ for more details. What are the Prizes and Challenges? 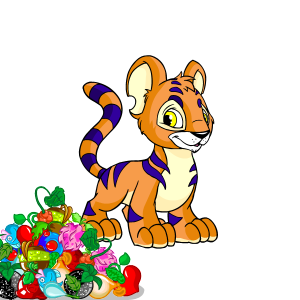 By using the navigation below you can view the challenges and prizes of the different Daily Dare events that Neopets has hosted. For the current Daily Dare, if you need help with getting a score to beat either challenger this section also contains tips and game codes if there are any for each day's game. If you are looking for game related items for your gallery or good items worth investing in due to retirement, be sure to check out previous years for the prizes. At the end of the Daily Dare trophies were given out along with the extra prizes listed below and for those that did not already have it, the Daily Dare: Chadley Site Theme. At the end of Daily Dare extra prizes were handed out to everyone who participated in the event. The prizes given to a player are based on their preformance at the games. The table below shows the prizes given to the different trophy levels. Gold gets all of the prizes, Participation only gets the last prize. For beating one of the opponents on the day of the challenge. 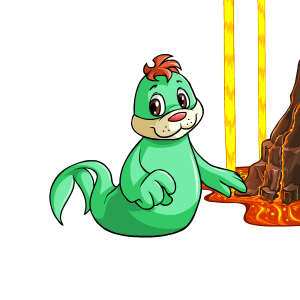 Check SunnyNeo's Volcano Run II Game Guide. The game code glubgar gives an extra life. One use per game. Use the keys to speed up and slow down as much as possible. When you see a fireball coming through a cave, slow down until the fireball is as much out of the narrow space as time allows. Then speed up, which makes you smaller, to get by it. The game will spawn strings of bonus gems until you have 450 or more. All you have to do to get more than 450 bonus points is aim to get your bonus count to exactly 440. You may have to dodge some gems to do so. Since the gems appear in sets of three, this will then allow you to get 470 bonus points the next time a set appears! Also, you could be lucky on your last set, and you might get two sets in a row quickly for 500 bonus points, or one of them could be a red gem. It is better to restart the game than go onto using different lives. The game is actually easiest on the first life, as the fireballs don't start appearing in sets of two until you reach a distance of 500.
freetime - Pauses the timer. One use per game. gimmeabreak - Gives you an extra life. One use per game. nomorerocks - Removes rocks. One use per game. As long as you don't finish level 13 the progress you made unlocking the levels stayes saved. Try to unlock all the levels and then you can play them in whatever order seems easiest to you. The spikes are not very visible, they go up and down, to pass them, simply wait for them to go down. When using numbers, you must form chains that increase or decrease by the amount listed above the board. You start with 1, so a sample chain could be 3-2-1-2-1-2-3-2-3. When using letters, you must spell words. When using symbols, you form chains by clicking on adjacent tiles that have matching symbols. It's easiest to play in numbers mode. When you see any golden tiles, try to incorporate them into long chains. The longer the chain, the better your score. The gold tiles act as a bonus. Also try to include slime tiles in the chains, otherwise they will slowly work their way to the bottom. Don't allow the slime tiles to reach the bottom. If that happens the game is over. If there are too many slime tiles in later rounds, there is a vial next to the wizard. It will fill up with gold. Click this vial - only when it is full- and all the slime tiles will be removed from the screen. The vial refills itself everytime gold tiles are used up in chains. If the vial is full from one round, it will carry over into the next round, so there's no need to worry about it having to refill again. At level 1, make a chain of 2700 points at first. This this is the highest score you can get without finishing the level. When the tiles refill with a gold tile, try to make a chain as long as possible with it. If there's no gold tile, restart and try again. In this way, you'll be able to get a lot of points during the first level. If there's more then one gold tile, try to connect those for even more points. At the start of each level press shuffle a few times until one or more gold tiles appear. Don't worry about the slimey times and try to include them and the gold tiles in your chain. The game code deliciousflies gives you 1 extra life. One use per game. When the level starts, pick a position where your tongue can reach all the way to the top of the screen without hitting a flower. When the flies are no longer at the top, pick a position where your tongue doesn't go all the way to the top of the screen. If it hits a flower you will be able to try catching a fly again faster when you miss a fly. Try to eat the wasps, they are worth 20 points, but don't let them sting you! Play the game on the easiest mode. It may reward less points than hard, but unless you're an expert at the game it's much easier to get to 6,000 on this mode. Slow and steady wins the race. Try to combine the 4x and 2x blocks together for extra points. The dynamite block destroys all other blocks of the same colour, the timer block will give you more time. Use the dynamite block as often as you can, not only does this give more points, with one colour less for a short time, it's easier making combo's. Combining a dynamite block with one or more 2x or 4x blocks will give you more extra points. Combo's with a dynamite block and at least two times a 4x block or more are rare to make but very much more with! Try to form the squares in the least amount of time possible, saving you time. If a block with a lock on it appears, try to get rid of it as soon as you can, as more will appear, and you don't want to be stuck with multiple locked blocks later on in the game. Always look for new block squares you can form. If you're about to solve an easy combination, first look around for a few seconds for some combinations. In easy mode, the timer refills itself basically all the way to the top every time you solve a puzzle, so there's really no rush. Blocks with the hour glass will give you extra time. Always play on hard mode. This is only slightly more difficult then easy and medium, but will give you three times as much points as playing on easy mode. When you're on a hill and there's a tree right behind the hill, use to up key to jump at the top of the hill to get safely over the tree. The beginning of the game is always the same. After that, the same obstacles repeat over and over (though not in the same order.) With practice, you can figure out how to clear each of the obstacles, and then the game becomes quite easy. The hardest obstacle to clear is the one where there are three stumps in a row- a big one with a small one on each side. Try jumping right before the first small stump, and then continuing to hold the up arrow key until you've passed all the stumps. If you're not very good at the game, just keep playing until you get an aqua berry (the blue one shaped like a tear drop.) A single aqua berry in hard mode will give you 600 points. Jump on each hill and each tree, as they may be followed by an obstacle. It's better to be safe than sorry. This game takes a lot of tries and a bit of luck, so you might have to take a break after awhile. Make sure you use the right arrow key to speed up; it's especially useful after jumping on obstacles. Check out our Piper Panic Guide. Memorise your paths, each level will have the same board each time, though it might be rotated. Get all the gems and bonuses possible. Baskets marked with a star will give bonus points if you end a level with those. Try to make combo's with those, like have two or three star baskets as the last three baskets you land on at the end of a level. Be sure to pick up the ankh at level 5, this will give you an extra live. Don't lose any lives until level 10. On level 10, you want to play through as many times as you can, so lose lives on purpose. Many people have issues playing the game in the small embedded window. In order to get the game in its own window, use this link. Play on hard mode; you'll never get enough points on the easier modes. Double-click the left mouse button to use your shield when your green status bar is full. Use the arrow keys or the WASD keys to shoot. You can just hold them down; you don't have to tap repeatedly. To shoot diagonally, hold down two directions at once. Collecting several gems in quick succession makes a chain, which is worth extra points. If there's too much time between collecting one gem and the next, the chain will be broken. You cannot make chains while using the shield, so avoid using the shield if you can. For your powerups, choose the 3-way shot first, then the 2-way wide shot and then the cannon shot. In level 1, first shoot 29 Novas and and collect all the gems from them that you can. Then when you only need one more to finish the level, herd them all into the center and move right on top of the Novas and activate your shield to kill them all at once. You have 3 lives. Near the end of level 3, die on purpose, play the level over again, die on purpose near the end again, then play the level a third time and pass it. This will rack up a lot of points. It will also allow you to go into level 4 with the cannon shot, which you really need for that level. Keep one hand on the space bar, another on the mouse ready to click your items. Click the items before you need them and click again to make sure you donâ€™t die. If the space bar doesn't register, click within the game screen once. If you already have the required score and are close to being caught, don't click on your items anymore, since the replay button appears right where they are you might accidentally restart your game. The fireball (gained by picking up the red powerups) is the best weapon. Keep collecting red powerups to level up your fireball. Once you have the fireball, don't pick up the other colored powerups or you will lose your fireball. Once you get your fireball to level 4, you can't upgrade your weapon any more, but you can continue to pick up the red powerups for extra points.If you don't get the fireball weapon early in the game, it's best just to restart. Always avoid the blue power ups - they always remain as a single ray, thus making it the least effective powerup. 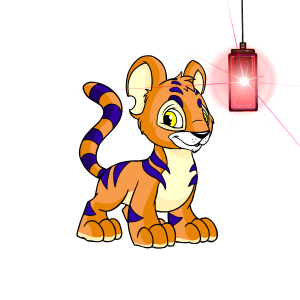 The purple fireball powerup is also effective but not as much as the orange fireball powerup. After collecting 4 in a row they turn into giant boomerangs that can knock out lots of enemies but it can still let some enemies through. This is the second best powerup. If you're going to collect the green fireball powerups, only collect 3 of them. When you collect the 4th green powerup, it turns into a single ray blast much like the blue powerup. Instead of tapping the spacebar everytime you fire, hold the spacebar down. Try to stay in the centre of the screen. Sticking to the sides can be a problem, especially if the red grarrl comes up beside you and blocks you, and you're not able to shoot down the enemies ahead. Shooting the red grarrl is only worth 10 points so there's no need to go out of your way, and potentially lose a life just to shoot him. 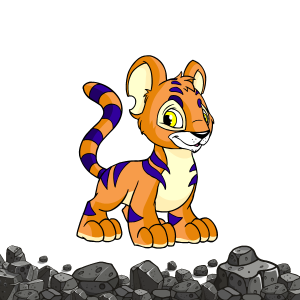 You will lose a life if you touch the Grarrl, the Pterodactyls, or the walls on the sides of the screen. 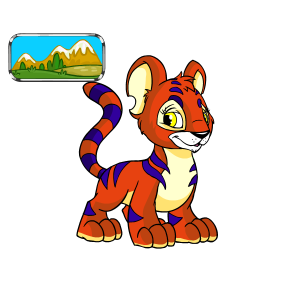 The Grarrl comes up from the bottom of the screen, and the Pterodactyls come from the top, so try to stay around the middle of the screen. The huts are just part of the background; you don't have to avoid them. The white Pterodactyls that fly across the screen won't hurt you. Once you get a higher level weapon, you can sway back and forth across the screen in order to shoot more enemies. Every few levels, you will regain a life. Don't worry about trying to kill every single enemy; more Pterodactyls will always come, so you're not missing an opportunity if you don't shoot them all. The game code rampage gives an extra life. One use per game. The game code superlaser gives you a better laser for that round. One use per game. The game code novisitors gives extra time. One use per game. Shooting the enemies turns them into blocks. You can use these blocks to get across pits. You can also throw these blocks at other enemies to kill them. Shooting an enemy won't give you any points, but killing one with a block will give you points. The more enemies you kill with one block, the higher your bonus points will be. The first enemy killed is worth 1 point, the next 5 points, the next 10 points, and the next 25 points. Use the code to gain extra time and just stay in a level killing enemies until your time is about to run out, then quickly collect the last item and move on. This is very effective in level 6 where you can trap all the enemies on the center platform. On level 10, picking up the propellor is worth 250 points. If you have any extra lives by level 10, get the propellor, then wait for time to run out. You'll restart the level and can pick up the propellor again. If an enemy kills you, the propeller will not show up again, so you must wait for time to run out if you want to collect the propellor multiple times. The harder difficulties give you more points. Being fast gives bonus points. When clearing the tiles, try to clear the top tiles and those around the edges first. In this way, more other tiles will become free or available. The game will tell you when click and there are no more possible moves. If you can't find any and the game hasn't stopped yet, you can use the hint option twice to preview a move. Only use this when you really need it! Trying to remember how all the different tiles look will help you spotting the tiles you need more easily. First try out the different types of balls to see which one you can handle the best. Clicking on the 'N' on the spacesuit of the floating Grundo will unlock the Grundoball. This one and the energy ball are considered the easiest balls to use for starters. The metal ball is the hardest ball to keep up. If you do a trick (by letting the ball bounce against the walls, you can earn points much quicker than by just keeping the ball in the air. If you can find a good centre position on the ball you will be able to keep it afloat for a long time with just small clicks and without having to move your mouse at all. Instead of trying to aim, focus on where your Hasee is landing, so as not to lose any lives. Collect any bonus point items (doughnutfruits) before you collect all the letters, as this finishes the level. The closer to the edge of the seesaw, the higher the Hasee will bounce. This can be helpful when aiming for specific balloons. Watch out for the wind on the later levels, this could blow the Hasee's off track easily and make it harder for you to control them. You need to make use of the 2x, 3x and 5x powerup bubbles. If your Hasee gets one of them you have a few seconds to also get letters and doughnut fruits which will then double in points (or more depending on the powerup). If you do not make use of these, you will not be able to get 1000 points when you finish level 15. Restart the game until your level 1 starts with at least one or two multiplier powerups. Playing on normal mode is fine, you don't need to play on hard mode. The game code buuuurrrrrrrrp (4xU and 8xR) decreases your bloat level by 50%. One use per game. Play at lowest quality and smallest size, if the game lags. Fire your ball when the meter's in the red to get the best speed. During gameplay, you can use the arrow keys to collect items and avoid obstables. Make use of the powerups. Once you remove an obstacle it will be gone for the rest of the level, so try to clear them early on. 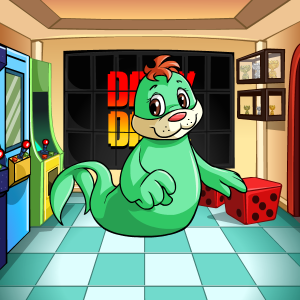 Check out our Meerca Chase 2 Game Guide. superextrahypergravitymode: Unlocks the secret Gravity Level when typed on the main screen. 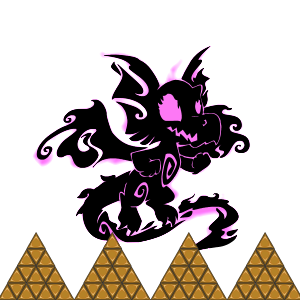 ferociousneggsareontheloose: Unlocks the secret Ferocious Level when typed on the main screen. Play in Gravity Mode. The neggs are all worth the most points in this version, and therefore even if you aren't good at the game, all you need is a bit of luck getting a Power Negg or Fish Negg to get a good score! The highest wind speed is 9. If you wait for the wind speed to be 9, you can hit the Kass further. Try to hit the Kass when it's near the top of the bat. Hold down the left mouse button or the spacebar as the Kass is rising, then release it when the Kass starts falling. Click the mouse button or spacebar each time the Kass hits the ground to make it bounce and go further. You must play with the bat in order to get AAA's score. If you don't have the bat, you can unlock it by getting good scores with the bread and then the stick. Follow the tips above when using the bread and the stick, and you should be able to unlock the bat. The game code thelostdesert resets the timer, one use per game. Remember that the next letter your are using to create the word only has to touch ANY of the previous letters of the word, it doesn't have to be just the last used letter. 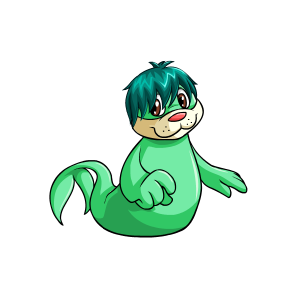 Use Neopian words (i.e. Lupe, Chia, Sloth) for extra points. If stuck, you can always buy a vowel with your points, but don't do it too often as they will get more expensive the more often you use them. The game code strawberryvanillachocolate gives you an extra life when typed before the start of a level. One use per game. The yellow scoop with a cherry on top is worth 100 points and the blue fish scoop is worth 250 points. 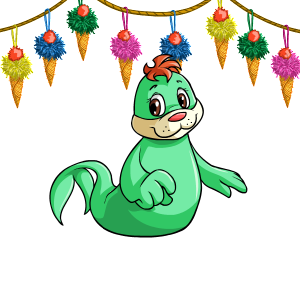 A large amount of your points will come from collecting these scoops, so try hard to collect them any time you see them. Extra lives are important- the pink scoop with the heart on it will give you an extra life, so collect it whenever you can. Collecting the red scoops causes the ice cream to slow down. This powerup will stack- the more you collect, the slower the ice cream will go. This can be helpful, but make sure not to slow things down too much, especially in later levels, or you're likely to get stuck behind walls of slow-moving ice cream that you can't escape from. The purple scoop which has a small outline of a chia on it will cause your character to shrink down, making it easier for you to dodge ice cream. It's very useful to have, and this powerup also stacks, meaning your character will get continually smaller as you collect more of these purple scoops. The green scoop causes the ice cream to speed up- you don't want this! You also don't want to collect the light blue scoop which has an outline of a chia on it- it will make you larger, and therefore it will be harder for you to dodge the ice cream. Both of these powerups will also stack. If you collect the cherry scoop, the fish scoop, the strawberry bomb, the shield, or the extra life, it will cancel all of your stacked powerups, so be aware of this. The strawberry bomb is fairly useless, and the shield only lasts a short while, so you may not want to collect either of these two scoops if you're under the effects of good powerups. Attempt to stay around the middle of the screen so that you don't get trapped against a wall. Don't move around too much. You can usually stay still most of the time in the first few levels, only making slight movements left and right. Be careful not to right click with your mouse, as this will cause your game to automatically end! 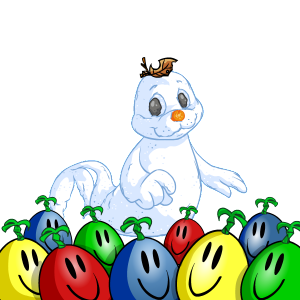 On March 26, 2007 around 1:40 pm NST TNT activated the avatar you can see below for participants in the March 2007 Daily Dare. The avatar was not reactivated after that. Released in 2007 for beating AAA or Abigail in 15+ Daily Dare challenges. 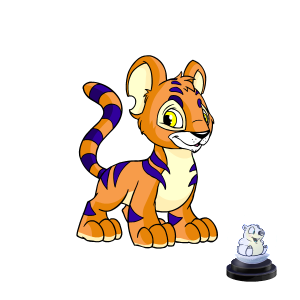 The avatar was awarded again during the 2018 Daily Dare for beating AAA's score for 15 or more times. Tip: Check SunnyNeo's Daily Dare page for more information about Daily Dare. 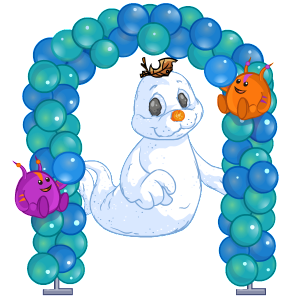 Newly released is the option to send a friend a NeoGreeting about Daily Dare. You can see the card by clicking here. For more information about AAA and Abigail you can check out either of their articles in the Neopedia. If you would like to link to this guide, you can use the buttons below.